In December 2016, Meridian 180 held a forum on Global Data Governance, led by Fleur Johns, Professor of Law at University of New South Wales, Australia, and Sung-in Jun, Professor of Economics at Hongik University. Prompted in part by recent scandals in the United States surrounding the hacking and release of email data, Johns and Jun urged Meridian 180 members to think widely about the issues and implications of how to govern data, as well as how data governs individuals and systems. The forum generated a wide exchange of ideas from a diverse group of economists, sociologists, computer scientists, anthropologists, and legal experts from Australia, China, Korea, the U.S., and Latin America. This summary provides a brief overview of insights provided by contributors. What are the challenges facing consumers and citizens with respect to data? Lyria Bennett Moses (law faculty, University of New South Wales), started the conversation by distinguishing between “data” and “the use of the data”, concluding that it is the use of the data that demands attention. Deborah Lupton, a digital sociologist, remarked on the importance of “data sense” among individuals — the need to research how individuals understand their own personal data, how it is made, and what role it plays in their lives. What are the system challenges in the face of data creation and data governance? In their joint post, Xinli Zhu (Professor, Zhejiang University Guanghua Law School) and Xuyang Zhou (Ph.D. candidate, Zhejiang University Guanghua Law School) noted the intersection of governance, public and private law, regulation, and privacy preference when discussing data governance. They brought up the need for the role of the market with regards to “economic incentives such as financial supports, tax breaks, and market access,” to “trigger social supervision mechanisms” among corporations collecting or using data. The need for a properly designed “informed consent” framework is important, they argued, given the value of reusable personal data. Jia categorized data into four distinct sources: genetic data (personal biological data); sensor data (collected from devices); behavioral data (transaction data, communication data); and government data or public information, noting that the wide range of data sources impacted the frameworks necessary for regulations. “How should we develop or reform the technology, philosophy, and institutions of legal regulation,” Jia asked. Echoing Zhu and Zhou, Jia argued for innovative “incentive mechanisms” to guide regulation. What tradeoffs are inherent in regards to data governance? The economist Kyeong-Hoon Kang (Dongguk University) highlighted the conflict between personal data protection and competition policy when considering data governance. Fred Schneider, a computer scientist at Cornell University, highlighted the tradeoff between encryption and security with “other values that governments deem important,” such as surveillance. As a core member of a conference at the Japanese Ministry of Internal Affairs and Communications working on the issue of artificial intelligence (AI), Susumu Hirano contributed the policymaker’s viewpoint with respect to developing guidelines regarding transparency and “traceability” of AI. He noted the need for a global determination of the meaning of transparency and a balance between “the appropriate level of transparency” and benefits to be produced by AI. Forum participants in South Korea and Australia shared insights about current legislative efforts to regulate data pseudonymization in both countries. GiJin Yang (Chonbuk National University Law School) noted the current debate in South Korea around data pseudonymization, the “balanced point between data privacy protection and efficient data use”, and the need for a global standard for data privacy and usage. Bennett Moses noted that pseudonymization was also being discussed in Australia, and raised the issue of a “risk-based approach” to disclosure. Yang agreed that a risk-based approach was promising in that it allowed for a mix of both initiative and liability. Many participants emphasized the need for global standards of governance with regards to data privacy and transparency. 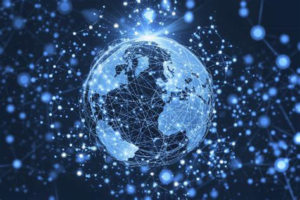 Further exploration and research on the subject of global data governance will be forthcoming from Meridian 180’s international working group as well as in future forum discussions. 2016년 12월 메리디안 180은 호주 뉴사우스웨일스 대학교 법학교수 플뢰르 존스 및 홍익대학교 경제학 교수 전성인의 주도로 세계 데이터 거버넌스를 논하는 포럼을 열었습니다. 미국에서의 이메일 해킹과 공개 등 시사사건에 대한 반응이기도 한 이번 포럼에서 존스 교수와 전 교수는 데이터가 개인과 체제를 다스리는 양상뿐만 아니라 데이터 거버넌스의 여러 사안과 파급효과를 광범위하게 생각하라고 메리디안 180 회원에게 촉구하였습니다. 포럼은 호주, 중국, 한국, 미국, 남미 출신의 경제학자, 사회학자, 컴퓨터공학자, 환경공학자, 법조인 등 다양한 참여자 간에 폭넓은 논의를 이끌어냈습니다. 본 요약문에서는 기여해주신 분들이 제공한 통찰을 개괄하고자 합니다. 데이터와 관련하여 소비자와 시민이 직면한 도전은? 리리아 베네트 모세스 (호주 뉴사우스웨일스 대학교 법과대학)는 대화를 시작하면서 ‘데이터’와 ‘데이터 사용’을 구분하고, 데이터 사용이야말로 중요한 논의의 대상이라고 하였습니다. 전자사회학자인 데보라 럽튼은 개개인의 ‘데이터 감’을 연구해야 한다고 주장하였습니다. 데이터 감 또는 데이터 감각이란 개인정보가 어떻게 생성되는지, 자신의 삶에 어떤 역할을 하는지 등을 이해하는 방식을 가리킵니다. 장링한 (중국 동북사범대학 법학과)은 자신의 정보를 대하는 개개인의 전문성 차이를 거론하였습니다. 데이터 통제를 보호하는 법체계를 확립하더라도 장교수는 ‘통제권자의 권리 실현 정도는 여전히 . . . 통제권자의 데이터 전문성과 지식….에 달렸’다고 하였습니다. 몇몇 참여자는 데이터 ‘재사용성’ 역시 거론하였는데, 특히 다른 이해관계자가 데이터를 복제하고 재판매할 경우 기존의 소유권 개념을 적용하기에는 어려움이 따릅니다. 장교수는 ‘데이터는 독점적으로 소유할 수 없으며, 반복적으로 복사 및 사용 가능’하다고 강조하였습니다. 일부 참여자는 데이터 거버넌스 기저의 더욱 광범위한 잠재적 위험을 논의하기도 하였습니다. 리 비넨(노스웨스턴 대학 로스쿨)은 사회적 미디어 플랫폼을 통하여 생성되는 데이터의 엄청난 양을 ‘통제할 수 없는 괴물’에 비유하였습니다. 데이터 생성과 거버넌스에 직면한 상황은 어떠한 구조적 도전을 제기할까요? 함께 작성한 글에서 주신리(절강대학교 광화법학원 교수)와 저우쉬양(절강대학교 법과대학 박사과정생)은 데이터 거버넌스라는 주제가 포괄하는 거버넌스, 공·사법, 규제 및 프라이버시 선호도의 교차지점을 개괄하였습니다. 두 분은 데이터를 수집하거나 사용하는 기업에 적용하는 ‘재정지원, 세금감면, 시장접근 등 경제적 동기부여 수단’을 효과적으로 분배함으로써 시장이 ‘사회적 감시장치… 발동’ 에 핵심적인 역할을 한다는 의견을 제시하였습니다. 또한 재사용 가능한 개인정보의 가치를 생각하면 ‘통보동의’라는 제도적 기틀을 잘 설계하여야 한다고 주장하였습니다. 지아카이(치화대학교) 및 스티븐 험프리스(런던정치경제대학교)는 실제와 디지털 세계의 경계가 흐려지는 현상, 그리고 이 때문에 데이터 거버넌스가 마주할 수밖에 없는 도전을 지적하였습니다. 험프리 교수는 ‘이 증식하는 표현의 우주를 현실세계에 다시 붙들어매는 작업은 사실확인이나 증거수집이라는 언어유희와 크게 다르지 않’다고 하면서도 이 작업이 어렵다고 인정했습니다. 지아 교수는 정보원에 따라 데이터를 4가지로 분류하였습니다. 이 4가지는 유전자 데이터 (개인의 생물학적 정보), 감지기 데이터 (장치에서 수집), 행동 데이터 (거래 및 통신 정보), 정부 데이터 혹은 공공정보입니다. 이렇듯 정보원의 종류가 다양하므로 규제의 제도적 기반도 영향을 받을 수밖에 없습니다. 지아 교수는 ‘법적 규제의 기술과 철학, 제도를 어떻게 개발하거나 개혁해야 할까요?’라고 질문을 던졌습니다. 주 교수와 저우 박사와 마찬가지로 지아 교수도 규제지침을 제시하는 혁신적인 ‘동기부여 기제’를 주장하였습니다. 계통이나 구조를 고려하기 이전 샬럿 엡스틴(시드니대학교)은 더욱 ‘상류’ 내지 근원을 통찰하여 ‘데이터가 애당초… 데이터가 되는’ 하는 과정도 다루어야 한다고 강조하였습니다. 경제학자인 강경훈 (동국대학교) 교수는 데이터 거버넌스 고려시 개인정보 보호와 경쟁정책 사이에 발생하는 충돌을 논하였습니다. 컴퓨터공학자인 프레드 슈나이더(코넬대학교)는 암호화 및 보안이 감시 등 ‘정부에서 중요하다고 하는 다른 가치’와 충돌할 수 있다고 지적하였습니다. 일본내무통신부 내의 인공지능 거버넌스 컨퍼런스에 핵심 구성원으로 참여중인 히라노 스스무(일본 주오대학교)는 정책입안가의 입장에서 인공지능의 투명성과 ‘추적가능성’ 관련 지침 개발을 논하였습니다. 히라노 교수는 투명성의 의미, 그리고 ‘적절한… 투명성의 정도’와 인공지능이 제공하는 혜택 간의 타협을 세계적 차원에서 결정할 필요성을 역설하였습니다. 본 포럼에서는 한국과 호주 출신의 참여자가 양국에서 데이터 암호화를 규제하려는 입법에 관한 의견을 주고받기도 했습니다. 양기진 (전북대학교 로스쿨)은 한국에서 데이터 암호화에 관하여 진행중인 논의를 소개하면서 각국 정부가 ‘데이터 프라이버시 보호와 효율적 데이터 활용 사이에 균형’을 잡으려는 노력을 언급하였습니다. 또한 데이터 프라이버시와 활용의 세계적 표준이 필요하다고 주장하였습니다. 뉴사우스웨일스 대학의 베네트 모세스 교수는 호주에서도 암호화 문제를 논의중이라면서 공개에 ‘위험 기반 방식’으로 접근하는 방법을 제시했습니다. 양 교수도 위험 기반 접근이 데이터 활용 동기도 부여하고 책임도 지운다는 점에서 촉망되는 방안이라고 동의하였습니다. 인류학자 제롬 휘팅턴(뉴욕대학교)은 연구 데이터를 보호하는 문제도 생각하자고 촉구하였습니다. 공동체 조직에 데이터가 하는 중요한 역할을 강조하면서 휘팅턴 교수는 ‘어느 데이터가 중요한지, 누가 사용할지, 어떤 데이터가 취약한지’ 질문을 던지자고 제안하였습니다. 마무리글에서 존스 교수는 논의 중 반복되는 주제를 세 가지 도출하였습니다. 다수의 참여자가 데이터 프라이버시와 투명성을 다루는 거버넌스의 세계적 기준이 필요하다고 강조하였습니다. 메리디안 180은 차후에 내부 작업반 및 포럼 논의를 통하여 지구적 데이터 거버넌스 문제를 더욱 탐구하고 연구할 계획입니다.